POLAND – An hour of calling will be held from 9:00 AM to 10:00 AM followed immediately by a Mass of Christian Burial at 10:00 AM on Saturday, March 23, 2019 at Holy Family Church with Monsignor William J. Connell celebrating for Elizabeth Ann Kovach, 93, who passed away peacefully on March 20, 2019. 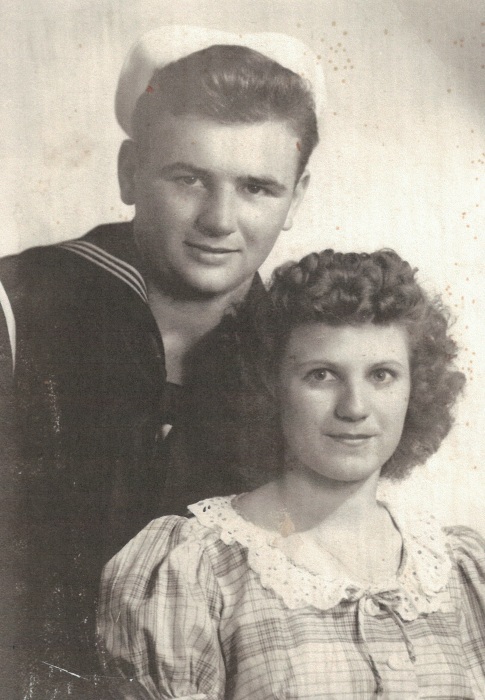 Elizabeth was born April 28, 1925 in Burgettstown, PA, a daughter of George and Helen Skzarka Rovnak. She attended Scienceville High School and was a homemaker and mother to 5 children. She was a former member of Sts. Cyril and Methodius Church, where she was involved with the Altar and Rosary Society, and the Infant Jesus of Prague Guild. Elizabeth enjoyed crocheting while her eyesight permitted, and was known for her excellent cooking and baking. She loved making baby blankets and doll clothes for her great-granddaughters. She loved her family dearly, and found great joy hearing about her great-grandchildren. Elizabeth will be sadly missed by her children, Mary C. (Michael) Schwartz of Poland, Carol Ann (Rod) Cox of Maryland, and Judith Helen (Joseph) Kall of Tallahassee, FL, her daughter-in-law, Evelyn Kovach of Poland; her grandchildren, David Schwartz, Kim (Brian) McGivern, Lisa Mosco, Roderick (Lori) Cox, Bradley Cox, Anthony Cox, Melinda Kovach, George (Heather) Kovach, Kristen (Chris) Wyant, Jackie Kall, and Candace Steele; her great grandchildren, Maria, Paige, Kaylei, Lainey, Emmah, Donovan, George, Elliott, Adriana, Rylan, Zander, Elijah, Desmond, Ashia, Dashia, and Jashari. Other than her parents, Elizabeth was preceded in death by her beloved husband, Frank L. Kovach, Sr., whom she married January 28, 1945 and who preceded her September 28, 1970, her sons, George and Frank Kovach, her brothers, Andy, George, John, Paul, and Stephen Rovnak, her sisters, Helen Wheeling, Mary Rovnak, Anne Melton, Margaret Rovnak, and Rose Rovnak, a grandson, Frank L. Kall, and two great grandsons. Burial will be at Calvary Cemetery. Elizabeth’s family has entrusted their loved one to the care of the Kubina-Yuhasz-Wasko Funeral Home. The family wishes to thank the staff of Greenbriar in Boardman, Ohio for the care given to their loved one. Visit www.waskofamily.com to view the obituary and send the Kovach family condolences.